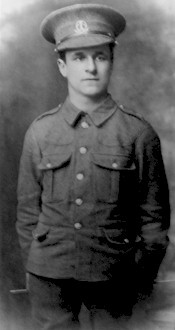 George joined the army in 1914 eventually being posted to 1st/8th Battalion Middlesex Regiment, a Territorial Battalion. When Britain declared war with Germany on 4th August 1914 the 8th Battalion, Middlesex Regiment was in the Middlesex Brigade, Home Counties Division, and were based at Hanworth Road, Hounslow: they spent a few days at Sheerness, then on to Sittingbourne. The 8th was one of new Territorial Battalions which had been reformed by the Territorial Act of 1907. Haldane's Reforms: Once the Regular Army had been organised as a continental Expeditionary Force, it would be necessary to provide forces for home defence. In December 1905, the Balfour government collapsed, and Sir Henry Campbell-Bannerman became Prime Minister, leading a minority Liberal government. Richard Haldane (Pictured right) was appointed Secretary of State for War. Campbell-Bannerman offered him the post of Attorney General, then the Home Office and had offered the War Office to two other men before Haldane offered to take it. Despite this inauspicious beginning, he would become, in the words of Douglas Haig ".the greatest Secretary of State for War England has ever had". One of these Territorial battalions, the 1st/8th Middlesex’s left the Home Counties Division and proceeded by ship to Gibraltar landing there on the 17th September. 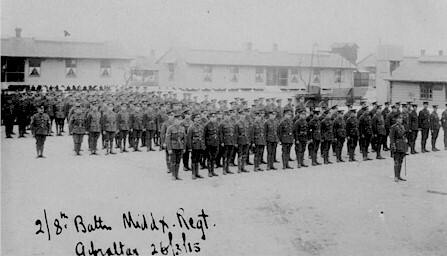 The battalion where there to stay until February 1915 when they returned to England. (the picture, left, shows the 2nd/8th Battalion in Gibralter on 26th March 1915) On the 9th March 1915 the battalion sailed for for France were they landed at Havre. Two days later they became part of the 85th Brigade, 28th Division, This was to be the start of many moves. On the 21st June 1915 the battalion amalgamated with the 1st/7th Battalion and from 23rd June to 27th August they became part of the 25th Brigade, 8th Division. 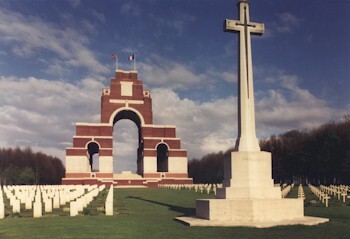 On 23rd October Private Coxon who was with the 8th was on the move yet again with the battalion when it became part of the 70th Brigade, 8th Division. On the 9th February 1916, there was yet another move for the young private when the battalion became part of 167th Brigade 56th Division in France. Haldane Reforms, http://en.wikipedia.org/w/index.php?title=Haldane_Reforms&oldid=304761946 (last visited July 28, 2009).